Melkam Gena, or in English Merry Christmas. In Ethiopia Christmas falls on January 7th every year. This is because the Ethiopian Christian Church follows the Julian Calendar. The Julian Calendar predates the Gregorian Calendar. Ethiopia is one of the oldest civilizations in the world, and adopted Christianity in the 4th Century. Growing up, my parents always were sure to celebrate Christmas on December 25th in a big way. The family gathered and celebrated, exchanged gifts and did all the traditional American Christmas celebrations. But our Christmas tree never came down until after January 7th. Because on January 7th we got to celebrate all over again! We would have another Christmas celebration, attending church services, gathering and celebrating with family one more time. In most Ethiopian household, January 7th marks the official end of the Holiday season. While celebrating twice may seem unusual, the reality is that as an Ethiopian American I love it and look forward to it every year. We get Christmas two times, Easter two times, and New Year two times. I mean come on, to gather with family, eat good food and celebrate twice for each major holiday…life doesn’t get any better than that. Of course Christmas is about the birth of Jesus Christ and a very Holy Time. We commemorate that with attending Church and giving thanks for time with our family.. I like that my family, along with the families of most of the friends I grew up with, continued to carry on the cultural tradition. They could have easily decided that when they immigrated to the United States that they would just celebrate each holiday once and just follow the general norm of their new homeland. But they didn’t. 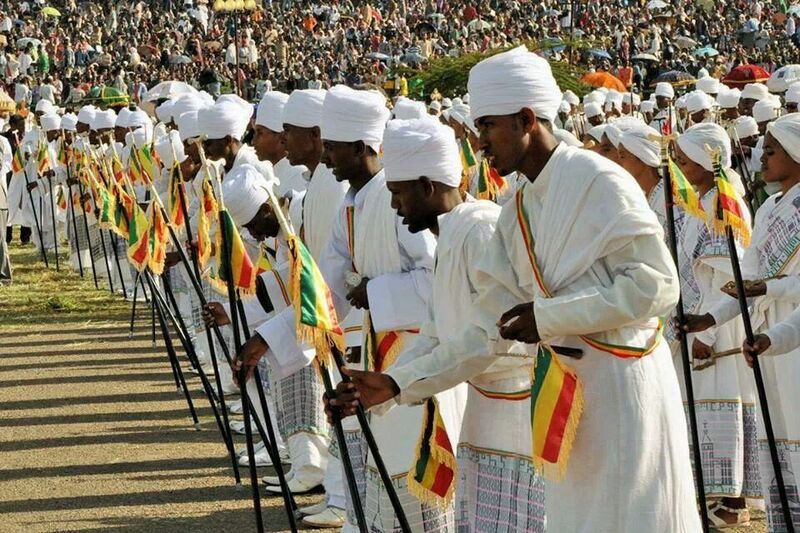 They made a choice to uphold their culture, tradition, and religious background majority the Ethiopian Orthodox Church. They chose to expose their children, Ethiopian Americans, to their rich culture un -apologetically. In my opinion the acknowledgment and excitement that surrounds celebrating religious holidays following the traditional church calendars instills a sense of pride and cultural awareness in me. It helps keep Ethiopian Americans like myself stay connected to our cultural heritage no matter how far removed we may become, no matter how culturally assimilated we may be to American life. We still celebrate, we still remember where we came from. This simple act of celebrating the Ethiopian holidays is that extra pep in my step, that head held high, that feeling of uniqueness and distinction from the masses.